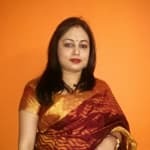 Dr. Subarna Saha is a trusted Dentist in Salt Lake, Kolkata. You can meet Dr. Subarna Saha personally at Smile N Perfection Dental clinic & Specialized Orthodontic clinic in Salt Lake, Kolkata. Book an appointment online with Dr. Subarna Saha and consult privately on Lybrate.com. Lybrate.com has a nexus of the most experienced Dentists in India. You will find Dentists with more than 28 years of experience on Lybrate.com. Find the best Dentists online in Kolkata. View the profile of medical specialists and their reviews from other patients to make an informed decision. I have problem in my teeth in last the gum grow high I did not close my mouth properly and there is lot of pain. It could be because of wisdom tooth, see a dentist, do warm saline rinses, have soft diet for few days. I am 33 years old and I am not married yet. While I brush blood has been comes. What should I do. Your gums are inflamed due to some deposits. You need good scaling and polishing and gum treatment i. E deep scaling and curettage if not subsides simple scaling and polishing n some gum ointments. My teeth are not proper. Three of my lower tooth (milk teeth) were gone and never came back. And one milk teeth is still exist. And two lower tooth are grown crossly and sharp both are in the same way. Upside also some r small and some r big and people says we have 32 but I have only 28 and in that I don't have 3. It mean I have only 25. What should I do. Can I go for dental surgery for neat and straight teeth? What would be the reason behind it? Get an opg x-ray done. This will show the condition of all your erupted and unerupted teeth. Than you can go for braces to align your teeth. By eating only eggshell could we overcome from cavity and regrown in affected area.Why should use harmful comfrey root?Please suggest any other solution also. Brother, I am little confused, who told you these baseless things. Enamel can never regenerate, never never never so affected area can never regrows eating anything may increase calcium in your body, but it doesnt do anything good to tooth calcium may helpfull for your teeth only when its under formation means the calcium your body have t the time of formation of tooth, body used only that much, after erruption, no matter how much you take these stuff its not going to help now in simple term, if it is possible to regrow affected area then in this world there is no need of dentist why would any one let dentist fill their affected area with artificial material, if they can regrow it. Doctor, am suffering from mouth ulcers am using b complex even though I can't get relief from them whenever they r affected to me. please give me suggestions to get rid from them permanently? Give me some precautions to don't affect with it next time? Start consuming lassi less of curd and more of water, if you can get fresh coconut water, in one glass of waterput pinch of black salt or kala namak, this could give you quiet relief. 2-3 times a day. I want advice on normal denture or implants as I have 6 lower front teeth and upper 8 doctor says that remove all lower for denture please advise. It will spend on the periodontal health of standing teeth n their location if they r in good health implant, flexi partial, cast partial or conventional partial dentures can b given. Sensitivity in molars and premolars tooth. Very bad condition. I get scarred when I think of eating sweets. Its been around a year. 1 year ago I consulted dentist. They asked me to take senquel f. Later pain was Iess. I some how tolerated. Before few months, pain was very high,| consulted dentist and he asked me to take ra thermoseal toothpaste. Initially I was feeling good but after few days when I ate sweet, there was severe sensitivity. Now I have purchased sensodine and I an using it for 5 days but still problem persist. I am not able to enjoy sweets or cold stuff. Please help me. Don't waste money after these costly toothpaste... They are nothing but scam... Better take Homoeopathic treatment for permanent solution.. Sudden swelling on both sides of the jaw near the neck portion of heavy itching for 2 mins .The skin becomes black and burns. When oil is applied burn stops. You are having swelling on both side of jaw ,this may be due to massetric spasm or impacted molars but since this has itching this can be skin problem. Causes of itching may be a insect bites, or a kind of allergies reaction /, infections, and trauma. Please visit dental surgeon for check up and apply aloe vera gel by patanjali twice a day for 15 days.